Tracer studies on the translocation and uptake of Boom Flower® conducted at the Radio Isotope (Tracer) Laboratory in the Department of Soil Science & Agricultural Chemistry at Tamilnadu Agricultural University, Coimbatore, India on rice, tomato and sunflower revealed the mode of action and the influence of the active ingredient (Nitrobenzene) of Boom Flower® on various growth stages of the crops resulting in higher yields. 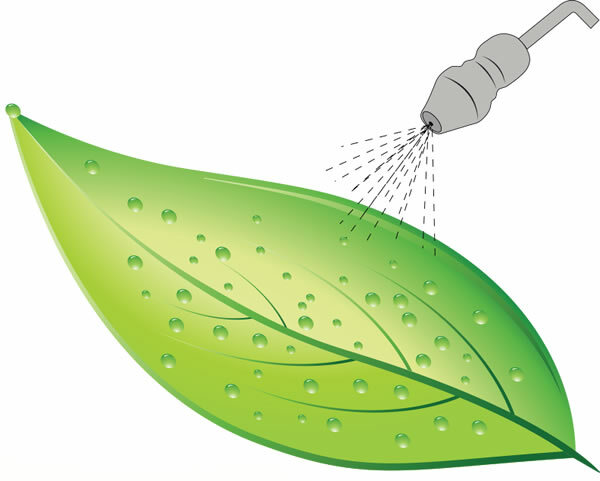 Boom Flower® when sprayed on the foliage is absorbed through the cuticle through translaminar action and is transported to all parts of the plant including the root system. B. By another process the Nitrobenzene is reduced to hydroxylaminobenzene under aerobic and anaerobic conditions and further undergoes an enzyme catalyzed reaction to form 2-aminophenol, which undergoes a ring cleavage to produce 2-amino muconic semi aldehyde with the release of NH4 + thus influencing the protein synthesis for higher yield. 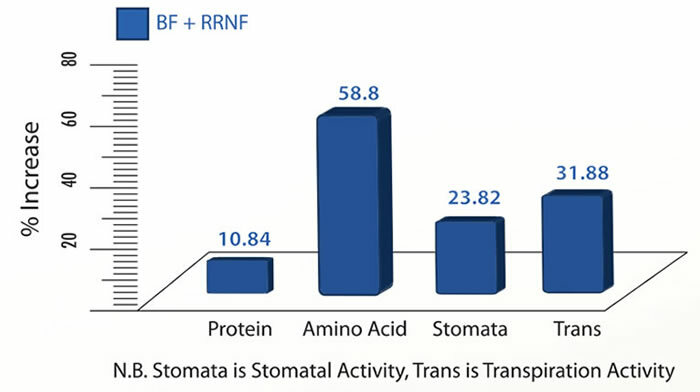 As given in the figure below, Boom Flower® spray a week prior to transplanting resulted in triggering the nitrate reductase activity on rice. 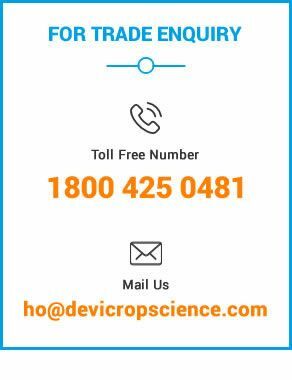 Hence at the time of transplanting the higher vigorous stature of Boom Flower® treated seedlings as compared to the seedlings without Boom Flower® application was observed. The graph below also shows a significant increase in chlorophyll content, nitrate reductase activity and nitrogen uptake which have resulted in increased biomass yield. Application of Boom Flower® also significantly influenced the uptake of other macro nutrients such as P & K and micro nutrients such as Fe, Mn, Zn and Cu due to the influence on making the root system robust and active which has resulted in more vigorous seedlings and increased biomass yield. The graph below shows a significant increase in chlorophyll content, nitrate reductase activity and nitrogen uptake on tomato which have resulted in increased biomass yield. Application of Boom Flower® also significantly influenced the uptake of other macro nutrients such as P & K and micro nutrients such as Fe, Zn and Cu due to the influence on making the root system robust and active. This resulted in vigorous seedlings and in increased biomass yield. 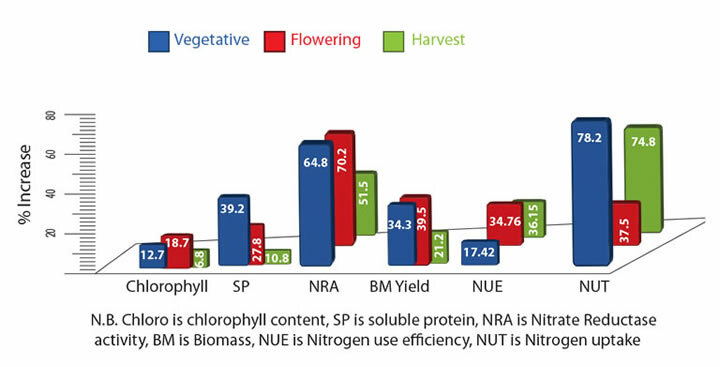 The graph below shows a significant increase in chlorophyll content, nitrate reductase activity, carbohydrates and nitrogen uptake on sunflower which have resulted in increased biomass yield. Application of Boom Flower® also significantly influenced the uptake of other macro nutrients such as P & K and micro nutrients such as Fe, Mn, Zn and Cu due to the influence on making the root system robust and active which has resulted in more vigorous seedlings and increased biomass yield. In particular the nutritive value of the Boom Flower® treated oil seed has also increased due to the higher concentration of oil. The hydroponics study conducted at the IISS, to establish the nutrient uptake efficiency of Boom Flower® treated tomato plants indicates that the plants treated at 45 days after transplanting improved the nitrate – nitrogen uptake by 42.6% and the rate of water and nitrate – nitrogen uptake / plant / day improved by 45.67% and 44%, respectively. 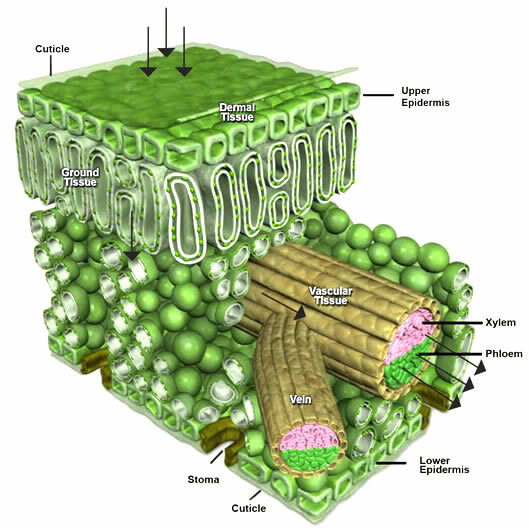 The studies further revealed that the Boom Flower® with recommended rate of nitrogenous fertilizers (RRNF), at 60 days after transplanting, influenced the physiological and the biochemical traits of the tomato plant and increased the buildup of proteins, amino acids, stomatal conductivity, and transpiration rate activity compared to the control plants as given in the graph below. 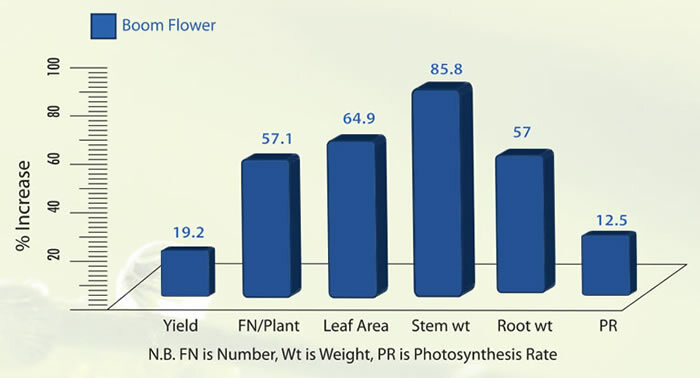 The morphological traits of tomato plants grown in pot culture with Boom Flower® spray at 2ml/liter of water resulted in significant increase in leaf area, photosynthetic rate, biomass yield, and number of fruits per plant, contributing to 19.2% increase in yield (209 gms/ plant) over control (water spray) as depicted in the graph below. Statistically designed replicated factorial Randomized Block Design trials on okra and maize (corn) revealed that Boom Flower® along with the 75% of the recommended rate of nitrogenous fertilizer (urea) improved the yield by 29% in okra and 19% in maize, thus increasing the use efficiency of nitrogenous fertilizer applied and giving a saving of 25% in the rate of application of that fertilizer. The increased leaf area index, nitrate reductase activity, photosynthesis rate, chlorophyll content of the leaf on 47th day after sowing indicated the influence of Boom Flower® on these parameters finally reflecting on the increase in the biomass and yield as given in the graph below. These studies also indicated the maximum physiological efficiency of nitrogen of 80% in okra, contributing to better partitioning of the biomass to the economic part of the plant, namely the fruits. Thus it indicates added advantage on its use in indeterminate crops like tomato and other vegetables. The cost benefit ratio owing to the application of Boom Flower® with 75% of the recommended rate of fertilizer was maximum of 1:8.25 in okra and 1:2.53 in maize.